Tie-dye isn't just for hippies any more. 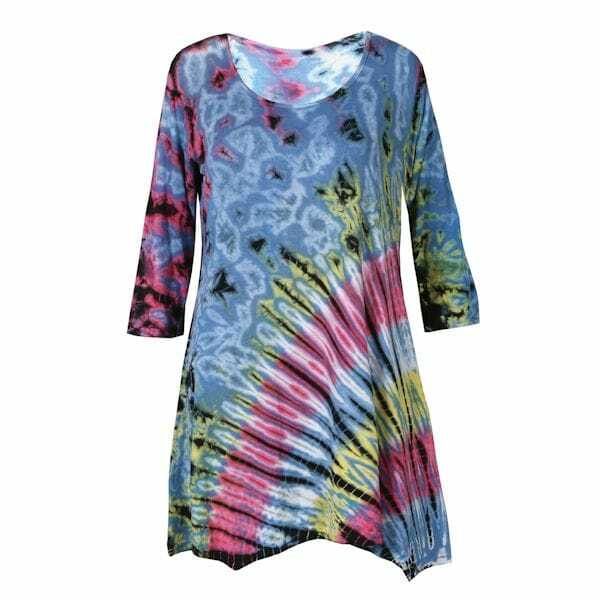 Swirling colors create a beautiful pattern that looks great with jeans or leggings. 100% Viscose. Sizes S/M, L/XL. Imported.